In the past years, Jannis Tzikas a.k.a. Filteria has built a solid reputation: known for his crazy climaxes, the man has left every dancefloor upside down. Tracks like Dog Days Bliss & Life Never Sleeps from his latest “Lost in The Wild” album have set a new milestone in Goa music! We’re not sure, but the Stockholm-based keyboard addict may also have developed a musical split personality through his OCD for analog synths. 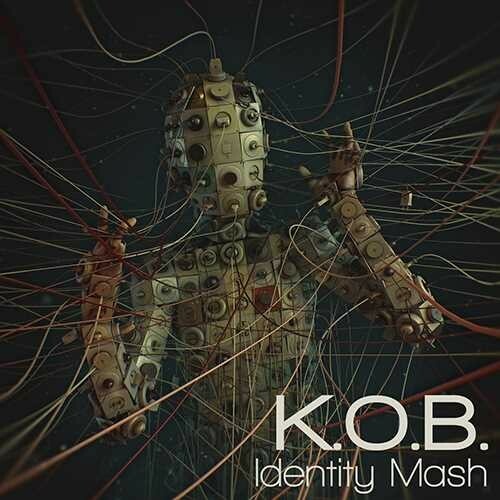 Today he’s presenting us “Identity Mash”, the debut album of his K.O.B. side-project: a psychedelic journey, where he has forged a new blend of intelligently crafted structures, percussive rhythms, and melodic booby traps under 303 air-raids! “Check In” softly introduces the “patient” to his new sonic asylum full of odd sounds and scratchy riffs, but “Folie à Deux” accelerates immediately to a manic dancefloor track that sends you under a heavy load of twisted loops, distorted leads and relentless rhythmics! “Klecks” follows up with a rant of bubbly sounds and melodic sequences; a true heritage to Australian oldschool goa trance! Now the “Filteria” personality tries to resurface: the very electronic low end of “Grandiose thoughts” marries like a charm with symphonic layers…until K.O.B. takes over and blows you up with a downpour of 303 ‘s! Likewise, “Inculcating Ideas” is set to leave a strong mark in people’s mind: twisted, melodic, and merciless uplifting Filteria climaxes for maximum dancefloor damage! Hold on, “Identity Mash” may be the strongest track of the album with banging rhythmics, a chaos of analog sounds and a staggering ending that acts a pliers on your mind. Then, “Cousin It” introduces the forest part of the album with ambiances ranging from howling hypnotic to blatantly acidic! Finally, “Check Out” concludes the lunacy, as the forest music master Battle Of The Future Buddhas joins K.O.B. on an analog rampage suited to substitute to the best treatments!